A garden is a place to work and play! 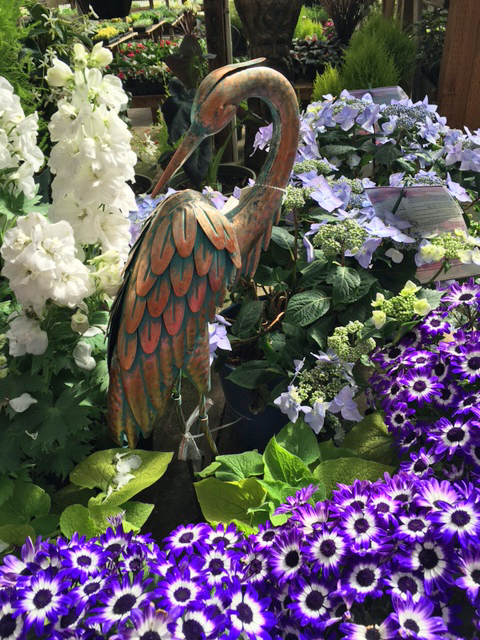 Bellevue Nursery has both tools and toys to make your gardening activities fun and easy. We can make it easier for you to dig, support, spray, prune, water, plus protect your hands and feet while you’re in the garden. True gardeners may consider that play! Don’t forget our feathered friends by putting out feeders, bird seed, houses and maybe a nice bird bath. 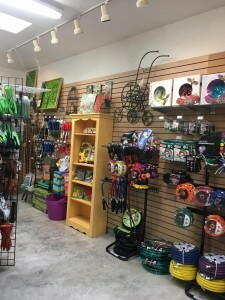 Our furry friends will love coming here, too, for a dog biscuit and a Muddle Mat to keep their paws clean. Woof! Indoor grow lamps provide natural spectrum illumination and versatility for growing houseplants, bonsai, starting seeds and even for reading. Available in desk top and floor models. Kids love to play in the dirt. Fuel their love of gardening by involving them in your next gardening project. TIP: Kids are more likely to eat their veggies when they have a part in producing them. Check out our kid-sized gloves and tools, and our popular train table. 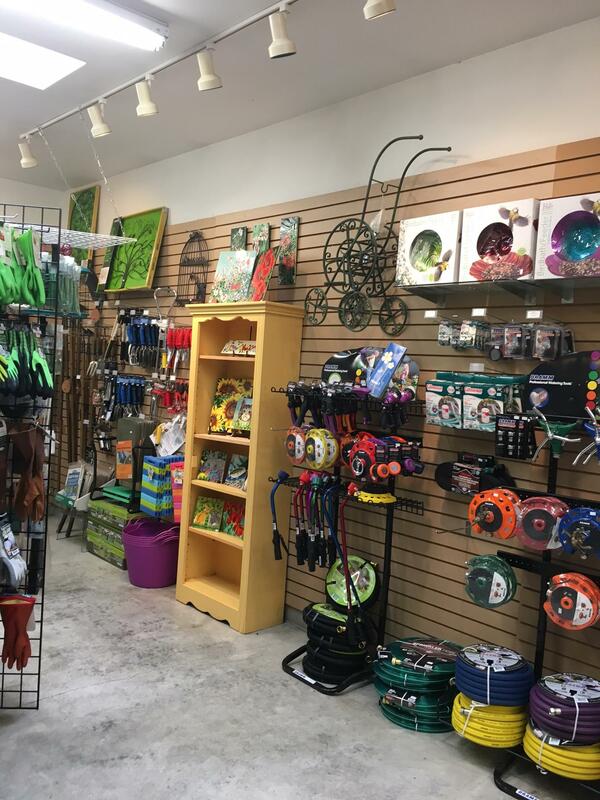 For the grownups, we offer wall art tiles, statuary, home décor, books, gazing globes, and wind chimes to create inspiring spaces indoors and out. Our line of lotions and scented candles will make you say “ahhh” after a long day in the garden. All great for giving, too.